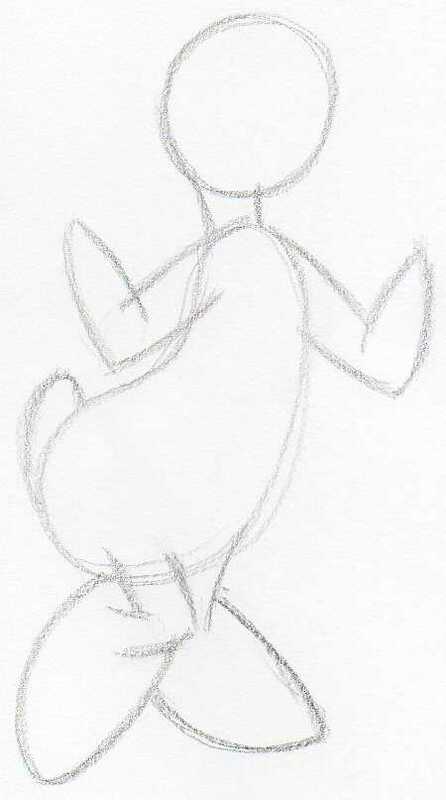 How To Draw Daisy Duck in Few Simple Steps. 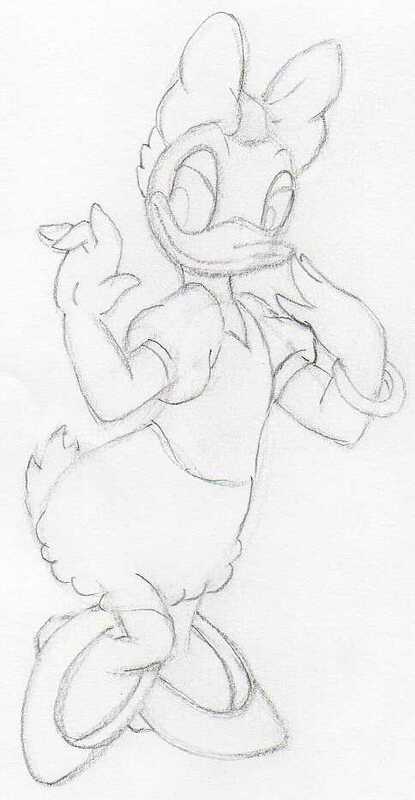 Today we'll learn how to draw Daisy Duck. You probably know that she is the well known girlfriend of Donald Duck. Did you know that Daisy Duck was created in 1940? 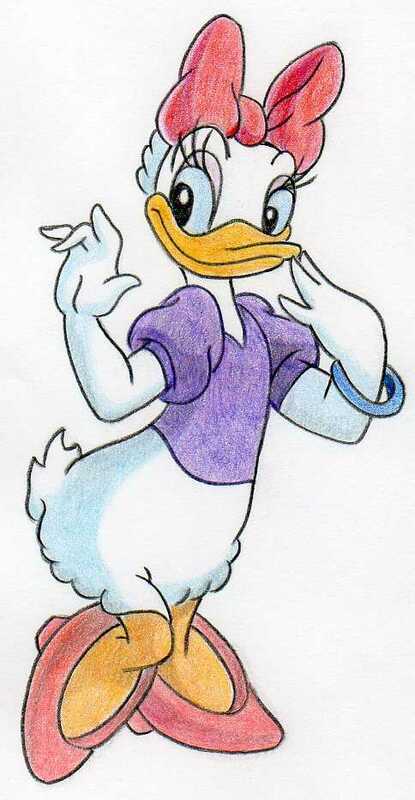 If you are a fan of Donald Duck then you probably want to learn how to draw Daisy Duck too. 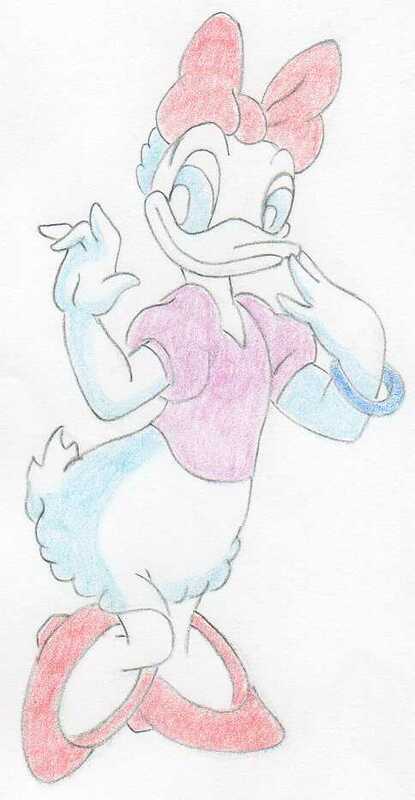 The way of drawing Daisy Duck or any other Disney Characters is basically the same. We always start sketching a noodle or deformed ellipse-like shapes and then gradually build up the character body features. 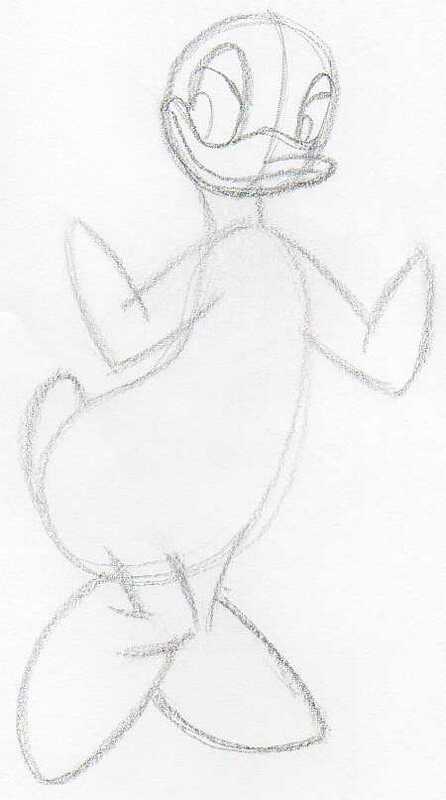 When you draw Daisy Duck, you may find a bit tricky the parts of her fingers and face features. Observe well every single step in this tutorial well. 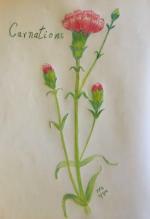 Notice the parts that may look difficult or challenging to you and then try to sketch them on a separate paper. Make a study. It is OK to make mistakes, and it is better not to expect a perfectly drawn shape on the first stroke. If you make a mistake, no problem, erase the ugly line and sketch in again. It is simple as that. Outline the head and the body. 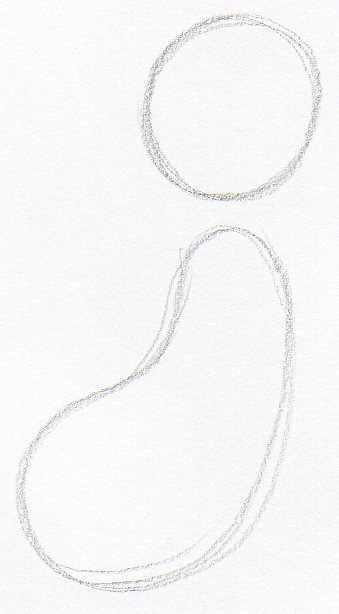 Just sketch one circle and one peanut-like shape as you see on this picture. 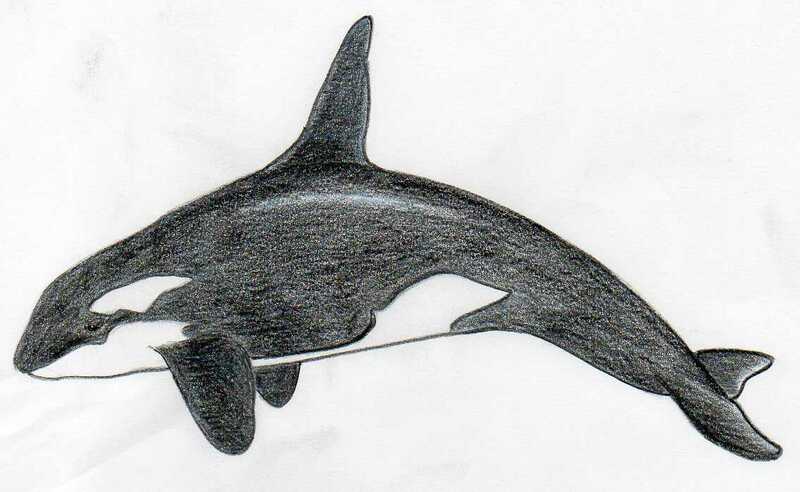 If possible, make sure, you sketch them in similar or same proportion as you see here. Sketch the neck to join the head and the body. 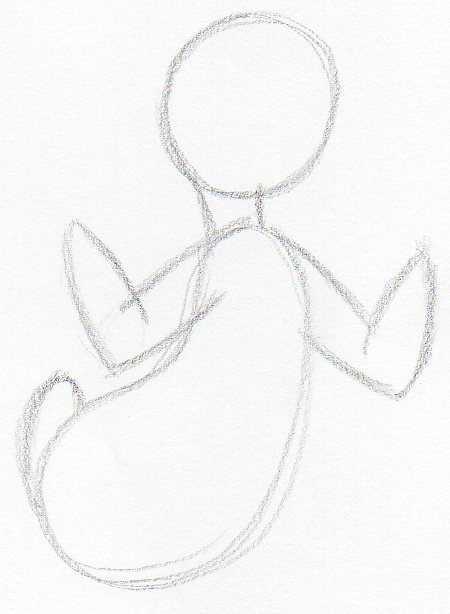 Outline the hands and the tail. Outline the legs and feet. Just do it in similar fashion as you see here. Even a bit complex-looking characters like Daisy, if you keeping drawing them layer by layer from the tutorial, you cannot fail. 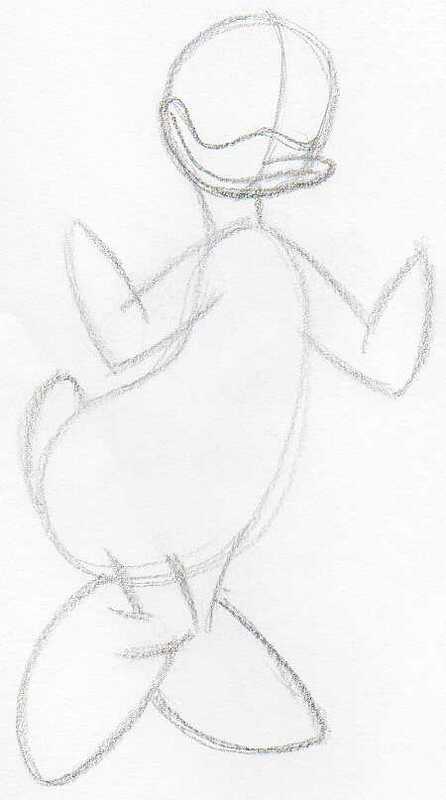 It is not so difficult to learn how to draw Daisy Duck, or any other character once you understand the process. 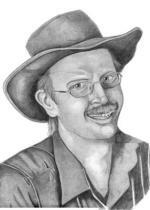 Now comes and important part - the face features. First, sketch a center line across Daisy's face. Then begin sketching the beak. Outline the eyes. Notice that the left eye is bigger than the right one, because the right eye is positioned on the opposite side of the head. 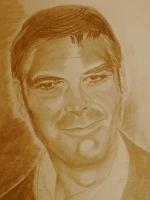 Sketch the hands and outline approximately the fingers. Sketch out the ribbon and the silhouettes of Daisy's shirt. Outline the inner rim on her shoes and the heals. Begin refining the contours over the whole body. 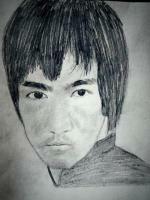 Use a bit sharper pencil for this. At the same time as you progress you can gradually erase the initial pencil guidelines. Don't forget to sketch the bracelet. Finish all contours and make the final touches. Erase all the residual pencil dust. When ready, you should get a clean and sharp picture. 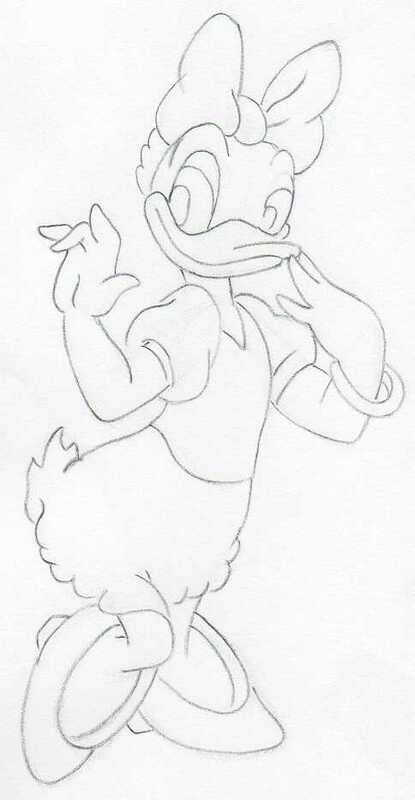 This will be your Daisy Duck coloring page. 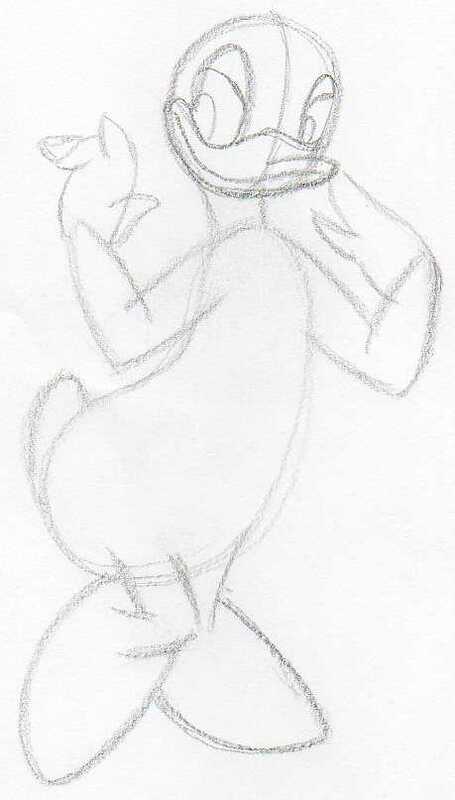 Even if you would not continue with coloring, at this stage you can say you've learned completely how to draw Daisy Duck. Start coloring in the same or similar fashion as you see on the picture. First, color very lightly, do not push the pencil.. You are making the first color layer. No shading yet. 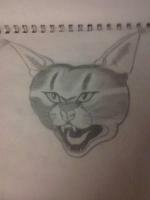 Observe well the finished picture and color out your drawing in similar way or better. It is OK if you cannot match exactly the same color tone, so take it easy. When you're ready, go and show your friends and family how to draw Daisy Duck. Surprise them! 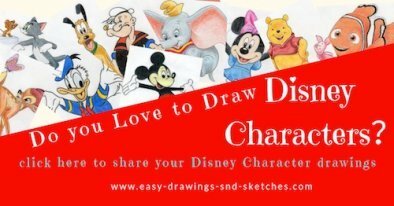 And please upload your Daisy Duck drawing by clicking below. We all would love to see it.